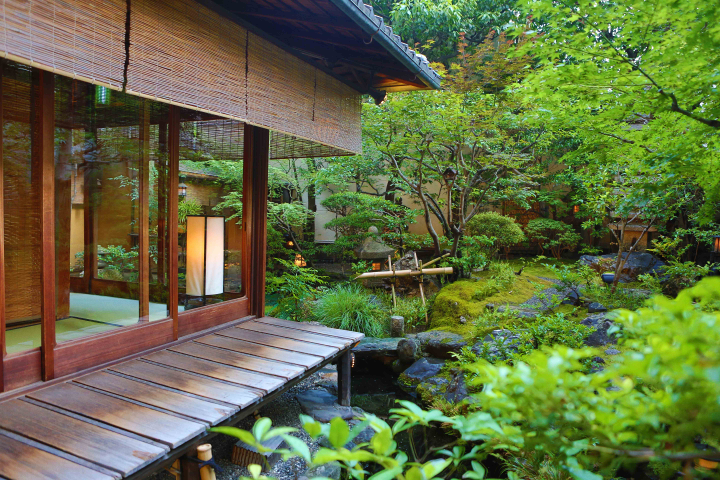 Using the concierge at the Westin we booked Yoshikawa in Kyoto with a room overlooking the garden. 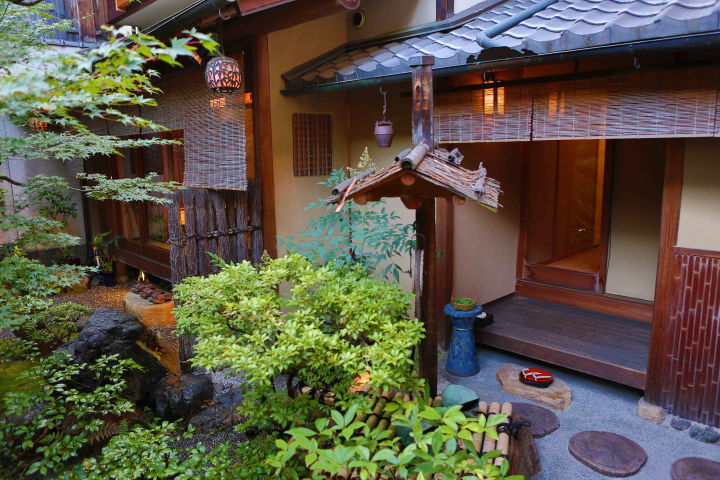 Attached to a Japanese Inn that has played host to the rich and famous, it was a beautiful traditional restaurant and amazing staff who quickly settled us in for our dinner. Our room was on the left. The dinner received mixed ratings from the family (Two really enjoyed it, two were not impressed). 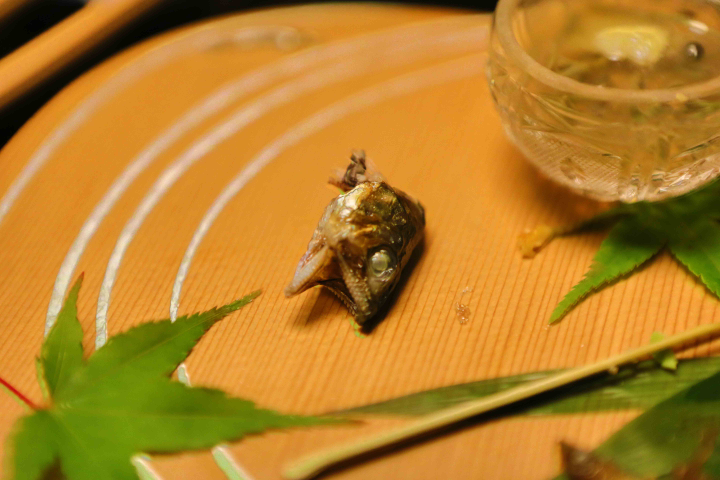 It was a traditional 8 course Japanese meal, tempura, sashimi, seasonal grilled fish and all. I really enjoyed it. Although on the seasonal grilled fish … I never eat the head, too bitter for me .. the rest is delicious. Our interpreter was already waiting for us. She had done this many times before and her English was perfect. She quickly started answering our questions and explained that “Yes”, I could take 400 pictures if I wanted (I didn’t – I took 99). She also corrected our first misperception. We would not be joined by a geisha, we would be joined by a maiko – a geiko in training. Maiko (舞妓?) is an apprentice geisha in western Japan, especially Kyoto. Their jobs consist of performing songs, dances, and playing the shamisen(three-stringed Japanese instrument) for visitors during feasts. Maiko are usually aged 15 to 20 years old and become geisha after learning how to dance (a kind of Japanese traditional dance), play the shamisen, and learning Kyō-kotoba (dialect of Kyoto), regardless of their origins. “Geisha girls” were Japanese women who worked as prostitutes during the period of the Allied Occupation of Japan. They almost exclusively serviced American GIs stationed in the country, who referred to them as “Geesha girls” (a mispronunciation). These women dressed in kimono and imitated the look of geisha. Americans unfamiliar with the Japanese culture could not tell the difference between legitimate geisha and these costumed prostitutes. 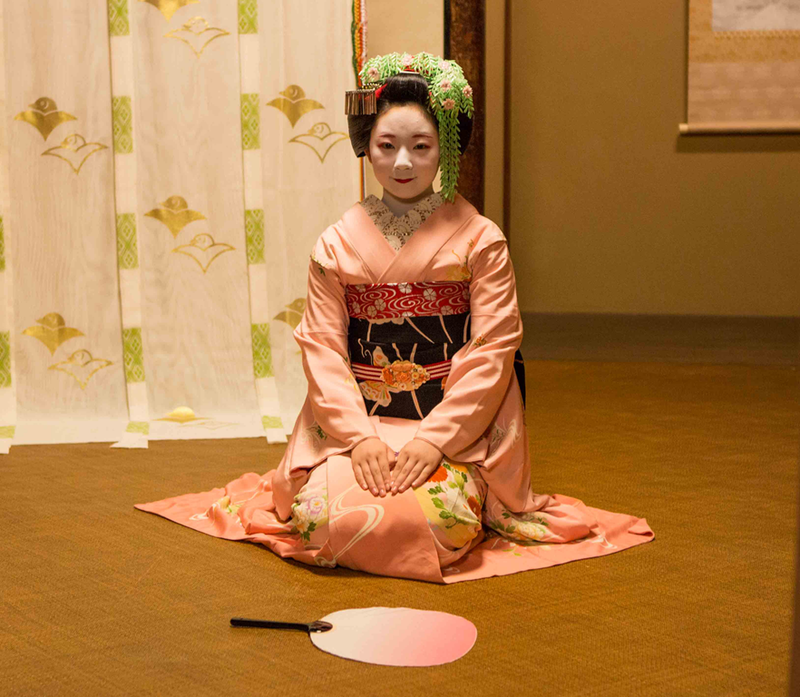 Hanamachi typically contained a number of okiya and ochaya, along with a kaburenjō; the kaburenjō was a meeting place for geisha, usually with a theatre, rooms where geisha classes can be held, and the kenban offices, which dealt with geisha’s pay, regulation and similar matters. 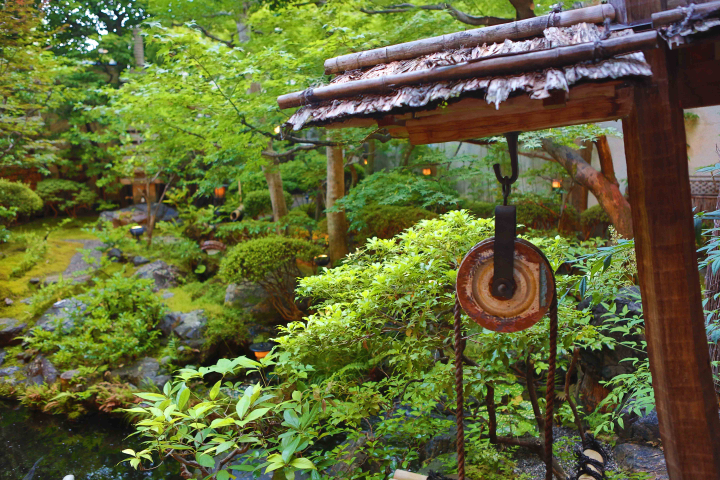 Gion also has a vocational school, called Nyokoba. Many of the teachers there are designated as Living National Treasures. Today, hanamachi are rare outside of Kyoto. At which point, our maiko-san entered; a term that would catch me off guard multiple times through the night as the pronunciation is close to Michael-san. With a kneel and a bow, our dinner with a maiko began. This entry was posted in Our Asia Adventure, Photography, Travel and tagged Canon 5D Mark III, Canon EF 28-70mm f/2.8 L USM, culture, Geiko, geisha, geisha girl, hanamachi, Japan, japanese inn, Kyoto, travel, Yoshikawa by michaelweening. Bookmark the permalink. Beautifully told. The pictures and the story made me participate in your experience. Thanks Javier. It was a very unique experience.